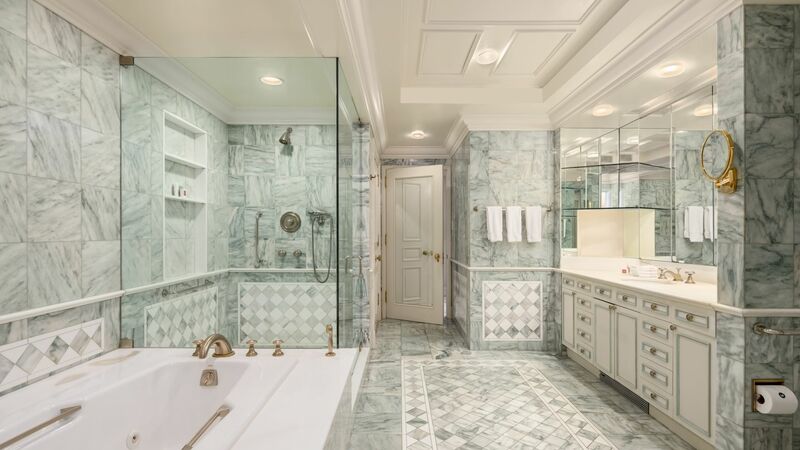 This spectacular penthouse-style apartment is a rare find, located inside Loews Regency New York Hotel on the corner of Park Avenue and 61st street. 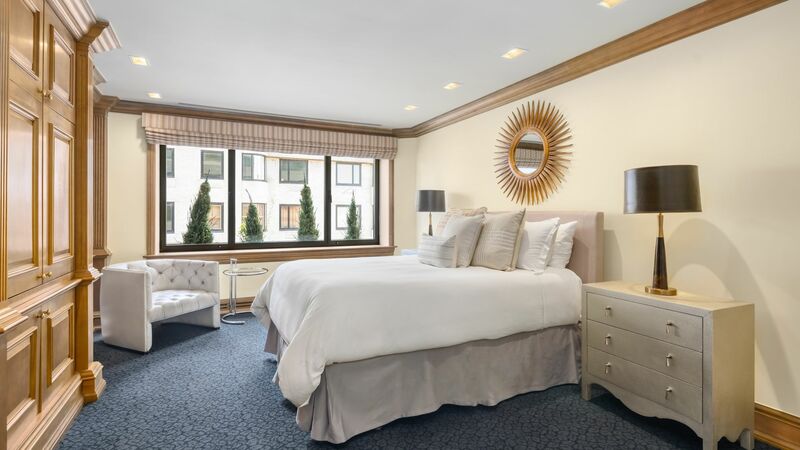 Conveniently located in a residential neighborhood at the crossroads of the Upper East Side, yet accessible to Midtown Manhattan, just steps from Central Park, Madison Avenue shopping, Museum Mile and more. 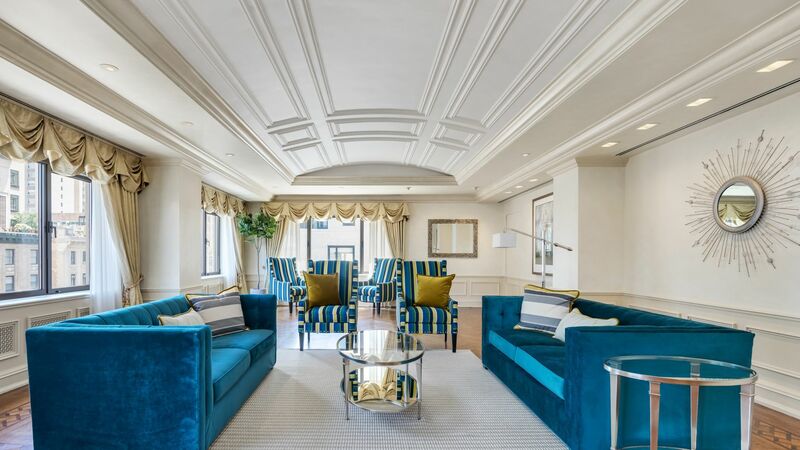 Welcome yourself home to this 5,520 square foot stately apartment with an expansive foyer leading through to the light-drenched living room overlooking Park Avenue - featuring herringbone hardwood floors and a beautiful arched ceiling with intricate molding details. A formal dining room, spacious kitchen with island, breakfast nook and a discreet butler’s pantry lends itself to a perfect place for entertaining. 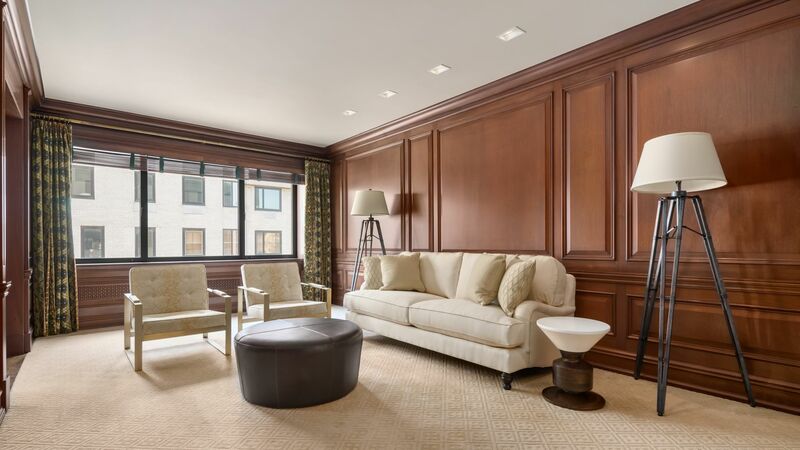 A wood paneled den with built in cabinetry is the perfect place to set up an office, watch tv or admire the scenic corner of 61st and Park Avenue. The Master Suite affords plenty of space including a bedroom with views of Central Park, two oversized master bathrooms both with deep tubs, glass enclosed walk in showers and double vanities, his and her walk in closets with beautiful wooden built ins and connected by a mirrored yoga studio with stunning skyline and central park views. The penthouse offers two additional bedrooms. The penthouse unique location within the hotel includes benefits such as twice daily housekeeping services, package and mail delivery, on premise security (in addition to built in penthouse security system), 24 hour in-room dining, concierge services and more. Designer notes include staying true to the hotel’s stunning art deco décor and creating a seamless combination of modern and traditional styles while taking advantage of the bright, airy feeling from all of the natural light. 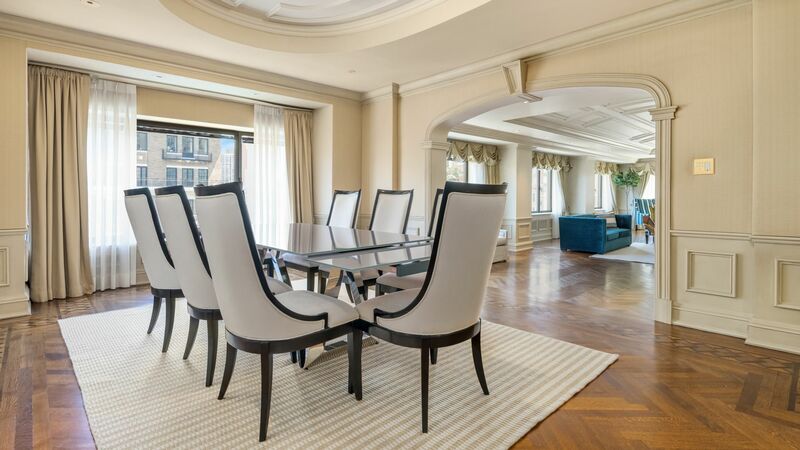 For more information, to schedule a tour of the penthouse or to inquire about long term availability please contact Loews Regency New York Hotel’s sales team, by email christopher.boulos@loewshotels.com or by phone at 212-339-4034.